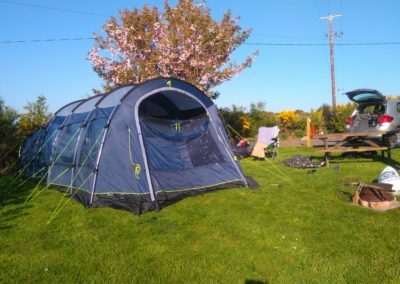 SHOWERS AND HOT WATER INCLUDED IN PRICE. 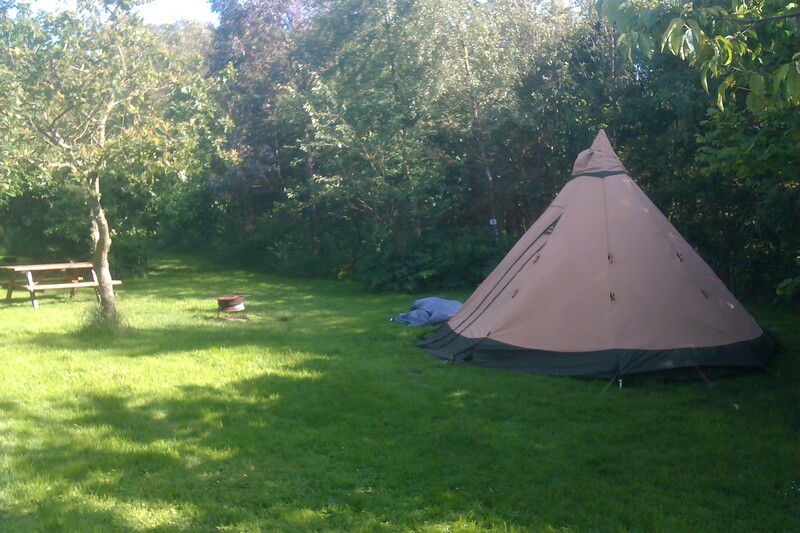 CAMPING POD – One night only £42, 2 nights or more £40 (includes 2 people). Hire of bedding and towels for the pod, available £6 per person. 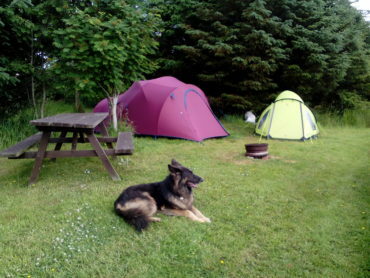 One Dog only allowed in camping pod, £2 per night. 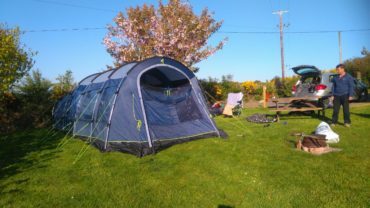 During peak season large size family tents more than 6 x4 metres may be charged extra if more than 1 pitch is required. 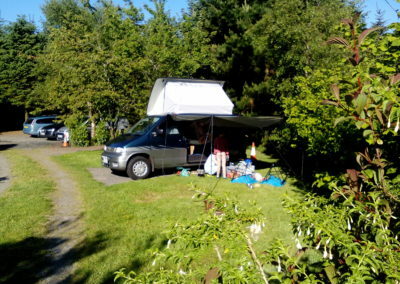 Price for campervans as for tents, per person. These must be sited on our campfire hearths. If you bring your own logs etc we may charge you for use of the firepit. Please book in at cottage. Please read our terms and conditions page. Discounts can be available through contact with the owners, for large or multiple bookings.